Forman Journalism Society and the Department of Mass Communication hosted a two day inter-institute international film festival named Film Baziyan’17 on 06and 07April 2017. Delegates from all across the world sent in entries including India. The event was supervised by the advisor of the society Lecturer, Mr Syed M Saqib Saleem and was run by team FJS. On both days of the event there were expert sessions where prominent media personnel like Mr Omair Rana and Mr Imran Peerzada were invited. All entries were screened in E-025, the screenings and sessions were attended by delegates, students and faculty members. On the first evening of the event a sufi mystical night was arranged where performers from Forman Music Society, Whirling Dervishes and stars of Nescafe Basement, Zain and Zohaib performed. 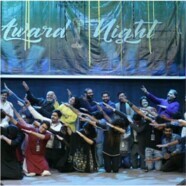 On the award night multiple musical and dance performances were staged by Forman Music Society and Nemesis. Esteemed media artists including Shahpara Saleem, Sabeen Inam, Inam-ul-Haq, Umar Amin Qureshi, Kamran Faiq, Azeem Sani, Sheraz Ahmed, Munsif Ali Khan, Noor Ul Hassan and Mohyuddin Ahmed Wani (Press Secretary to Prime Minister) graced the event as guests and judges. The event concluded with award distribution amongst wining delegates and souvenirs were given to the judges as token of gratitude.